Home » Adobe SpeedGrade CS6 – Can Color Grading Go Mainstream? Was Adobe’s Creative Suite missing something? For years the Production Premium version of Creative Suite gave you what you needed to author a complete video production. While it didn’t offer a specialized tool that could craft color with as much finesse as Photoshop, many were happy with what Premiere Pro offered in terms of basic color correction. As Adobe pointed out in their tutorials, to finish your Premiere project you could get pretty respectable results simply using that app’s Fast Color Corrector and RGB Curves. At Creative Suite 6’s release at NAB 2012, Adobe changed the NLE landscape with a rethought and rebuilt Premiere Pro. Over the nine months since its release, Adobe’s NLE now sits comfortably in top facilities and home studios alike. But what were users to make of SpeedGrade in the Production Premium suite, a totally new addition to the line-up that had been aimed at color graders and other pros around the world for nearly a decade? To answer that, let’s first step back and ask why Adobe thought motion media content creators needed better control over their color than what they already had available. To begin to answer that, let’s go first to London. At Mytherapy, Dado Valentic takes his datacart loaded with SpeedGrade on location. His first love was music, says Dado Valentic, who was a club DJ before he walked into his first color-grading suite. He had originally gone to Los Angeles to study film, not realizing the key role color grading held. Rather than the lure of being a director or DP, there was something about color grading that captured his imagination, Valentic says. Perhaps it was its ever-changing combination of technology and art, a theme that comes up often in Valentic’s career. Even so, while in the U.S. he decided he first needed build his practical tech skills. That meant employing his engineering background to do R&D work for Apple and Sony. His boutique facility Mytherapy grew out of that desire. Here’s where Valentic created “the first fully functioning data lab in the UK” even while he worked as a camera consultant and DIT on productions including the “Harry Potter” series and “Ironman”. But color grading from the beginning of the production through to finishing was going to be a key component in Mytherapy’s trajectory. Valentic first considered the original Da Vinci color system, but the U.S. Company had no office in London for support and service. Besides, he says, it was just too expensive. Instead, Valentic turned towards Apple’s Final Touch. But he found that too limiting also. Finally Valentic picked up a copy of SpeedGrade. Although he found the early versions of SpeedGrade were more “limited in functionality”, Valentic enjoyed the responsiveness and open nature of the program. He could modify the software to do what he wanted. For example, sometimes he didn’t have a Look-up table on hand that gave him what he thought the client wanted, so he made his own. He created these by stacking and tweaking grading layers to create the desired look – the same way SpeedGrade works today. 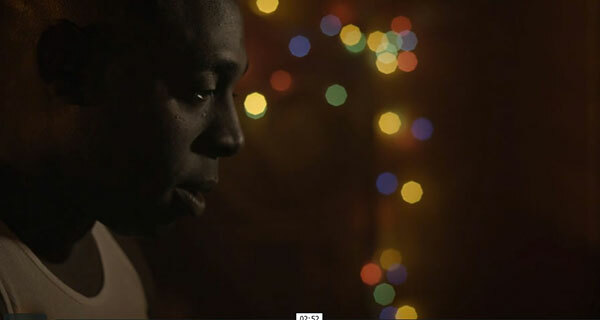 SpeedGrade allows Valentic to work with difficult images, such as this profile from an Sony F55 test. This capability to create custom Looks became even more crucial when he began working with the latest digital cameras on location. The cameras, such as the Phantom, Silicon Image 2K, and RED could output RAW. Using SpeedGrade on set, Valentic could quickly apply the agreed upon Look so that the director and DP could see how the actual footage would appear after color grading. Moving this kind of artistic decision-making further upstream in the production process meant that much less wasted time trying to complete grading and finishing on tight post schedules. While SpeedGrade early on attracted power users like Dado Valentic, even freelancers on their own found the software straightforward to use. Besides, the app was flat out fast when working in a computer with the latest chipsets from Intel and Nvidia. Manuel López Pérez is one such independent user. The self-taught colorist lives in Tenerife, a Spanish autonomous community that’s part of the Canary Islands off the northwest coast of Africa. López spent years as an assistant director on wildlife documentaries in the Canaries, but he could also build his own workstations from scratch, which led to editing the shows. In such a small community, his expertise allowed him to move from company to company, soon as producer on commercials, corporate videos and local TV programs. As he worked in post facilities, López also spent the time to hone his skills in Adobe After Effects, a program that would prove key to moving his career along to the next stage. So although the Euro financial crisis had reached Spain by 2008, he now had enough practical know-how of shooting, editing and effects to build a modest buffer from the growing turmoil. Self-taught, Manuel López Pérez picked up enough SpeedGrade skills to color grade “El Clan”, his first feature. Deciding his career path needed to go further into color grading and DI work, López began simply enough, taking a few classes and reading books by veterans such as Steve Hullfish and Alexis Van Hurkman. He could afford Red Giant’s Colorista II plugin, so López used it with After Effects and Premiere Pro. While suitable for some projects, he soon felt limited. Finally, with the release of SpeedGrade within CS6, López had what he needed. Over the past year he has color graded a long documentary “Viudas Blancas”, a short film “Velando a los muertos” as well as his first feature “El Clan”. With production schedules, there’s always a need for speed. The right gear can be decisive in making a deadline. For example, editors and colorists need make many creative decisions over a long session, so they choose fast workstations to maximize the time spent making those decisions. However, even when running multi-core Intel systems with plenty of RAM, a workstation faces constraints as more tracks and effects layers are piled on. Adobe addressed these limits in the CS5 version of Premiere and CS6 version of Photoshop by introducing MPE (Mercury playback engine). 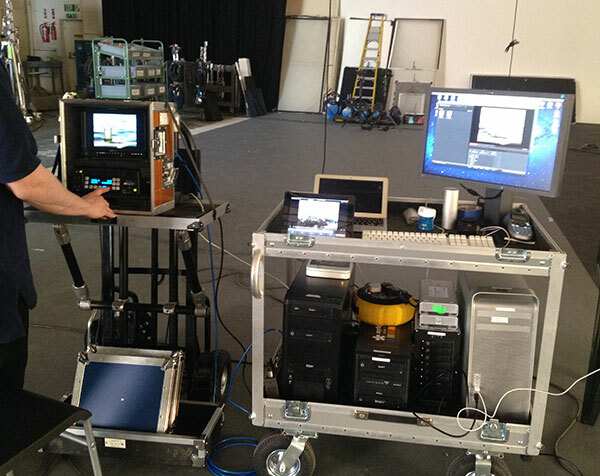 MPE accelerated playback by employing a system’s GPU, which employs parallel processing. Moving image rendering and processing to the GPU to improve program throughput is what SpeedGrade has done since its beginnings. 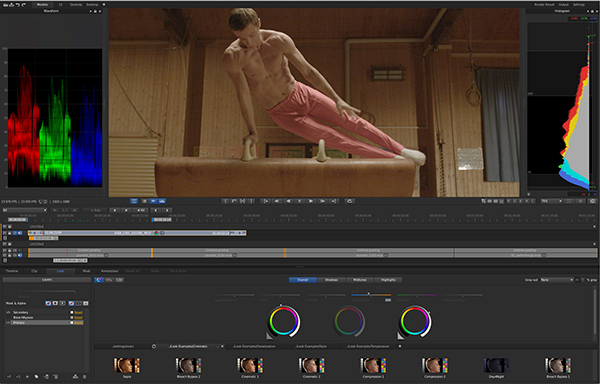 While not working as a DP and colorist, Jerome Sabourin develops SpeedLooks, 3D LUTs for SpeedGrade and the other major color grading systems. Sabourin feels the final results move digital images closer to the look of classic film. Sabourin is also a partner in LookLabs, a Canadian company that develops SpeedLooks, preset Look plugins that he and his partner build via SpeedGrade. The idea? Create 3D LUTs (look up tables) that allow footage to look and act like traditional film stocks. Started in Munich, Germany in 2001 by CEO Lin Sebastian Kayser, IRIDAS had gained an enthusiastic following for providing software that solved some fundamental problems faced by the growing move to all-digital postproduction. For example, digital playback and color-grading systems needed to move massive amounts of data each second so that images could be manipulated in real time. Companies addressed this by building custom computer systems that included racks of boards with dedicated processors along with high-speed storage arrays. Throw in a costly yearly maintenance contract and such systems were too expensive for all but higher-end post houses. Instead of such a brute force approach, Kayser lead the team at IRIDAS to first deliver FrameCycler, the first PC-based digital playback app. The program relied on the faster processing available in a GPU’s pixel shader technology. Compared to the speed of that era’s CPUs, GPUs were speed demons since they were increasingly being relied on to provide extremely fast screen refresh rates for video games. SpeedGrade sat at the top end of the IRIDAS product line, with a full version costing over US$30,000. 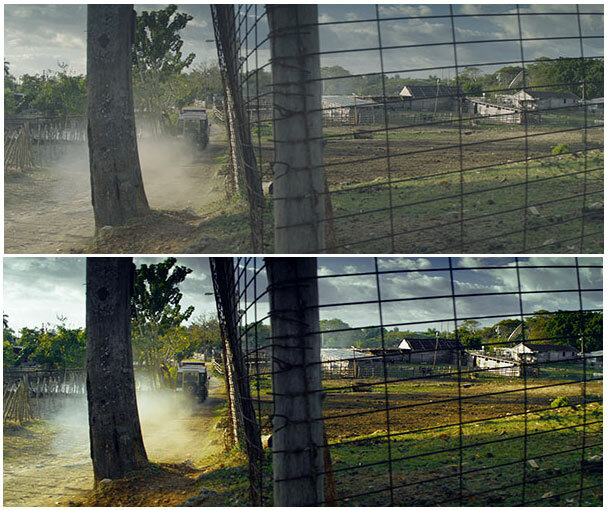 The application was unique at the time, offering GPU-based, non-destructive color grading. SpeedGrade is still the only such app to put so much of its functioning into a GPU engine. It parallels, however, the approach Adobe later employed with its Mercury Playback Engine. Working within Premiere Pro, MPE uses graphics’ cards CUDA architecture to provide much faster performance. After nearly a decade as a standalone product, SpeedGrade now takes its place with some of the industries most widely used production apps. Taking the software from a small group of highly specialized, technical creatives to many thousands of users, Adobe delivers a potent tool for manipulating color in the digital age.